John Wert (shooting) and Ben Rogers at the 2014 Fita Field National Championships in Texas. Elbow pain? Can’t shoot your bow without sharp pains in your elbow? Well, don’t give up hope. During the summer of 2011, I began to notice pain on the outside of my bow arm elbow. “Tennis elbow!” all of my friend told me. I iced it, took anti-inflammatory medications and pressed on. The pain was bearable during the 2011 IBO World Championship. In fact, I was able to shoot through it, and win the worlds that year, but soon after worlds it rapidly got worse. Over the following two and half years I received three corticosteroid injections, and considered a witch doctor. Each injection enabled me to shoot for four to six months’ pain free, and then it returned with a vengence. I soon noticed a knot forming on my elbow. I tried to take periods off, but it killed me not shooting – I was stubborn! My ability to practice appropriately soon became impossible, which led to poor performances in tournaments, and that resulted in frustration and depression. In November 2013, an orthopedic surgeon recommended that I try a Platelet Rich Plasma (PHP) injection. I agreed. I would have tried anything at that point. They drew a vile of my own blood and spun it, which neatly separated the platelets from the red and white blood cells. The surgeon then drew out the platelets with a syringe, and injected it directly into the most painful area. The platelets attacked the area thus stimulating my own body to heal it. Within a week I could tell a difference. It was working! In December I returned, and asked him to give me one more injection before I departed for Afghanistan. I deployed to Afghanistan the first week of January with no bow. I planned to give the arm a complete rest from shooting. Convinced that I needed to strengthen the arm, I hit the gym pretty heavily, but I let pain be my guide as to how much that arm could handle. At first it was sore, but still seemed to be improving. It’s April 25, as write this and I have been completely pain free for over two weeks. There was a time that I could not pick up a soda can with my left hand. If I bumped the elbow I was in tears. Today, I am hammering in the gym and back to normal activity. If you are suffering from tendonitis in your elbow see your doctor and ask about PHP. Best of luck. Good luck to my son, Logan, two time IBO Traditional World Champion. Dad will be cheering you on from Afghanistan buddy. I love you. East Montgomery Elementary Archery Team. via East Montgomery Elementary Archery Team. In 2010, I sat on an oak stump in the eastern edge of the Appalachian Mountains, at Sherwood Archers, where the mountain laurel sinks root in the banks of creeks fed by crystal clear, spring water. I spoke with former NFAA National Champion, Denny Cline, about the heyday of archery – the 1970s. It was a time when David Hughes, Denny and others launched aluminum arrows from recurves with mind-blowing results. 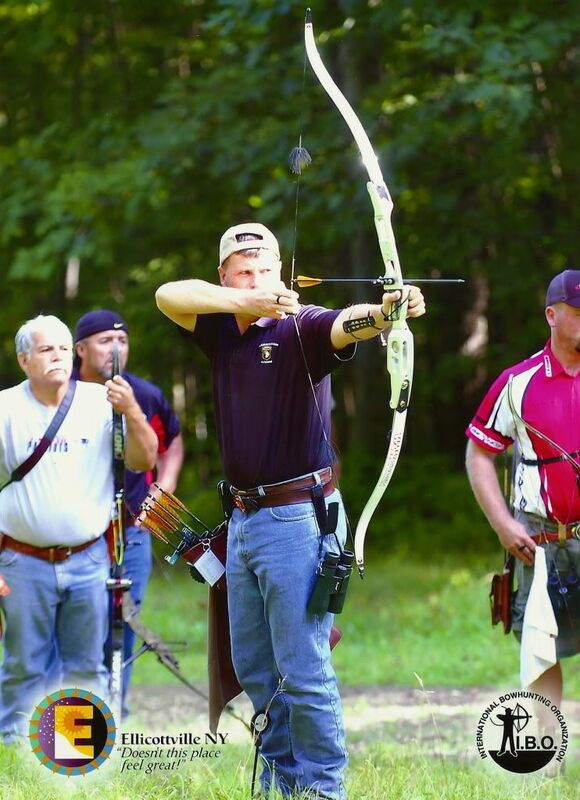 As cherished memories flitted in and out of his mind like flies through a screen door, I wondered if anyone would ever sit around with one of my peers, one of my generation, and talk about the golden days of traditional archery – a new greatest generation. Lord knows we were trying to make a come back, still are. It hasn’t been an easy road. Archery has changed since man exchanged his laminate limbs and springy rests for cams and cables. Those who long for tradition often make false assumptions of the past. They imagine a romantic, purist form of archery that exists, in some cases, only in their minds. The truth is, man has always strove to improve his equipment, but some things have changed very little. While man has tried to improve what he holds in his hand, what the man behind the bow does has remained pretty well constant throughout the years. Like one of those pills that will give you six-pack abs in two weeks, some men focus on the bow. 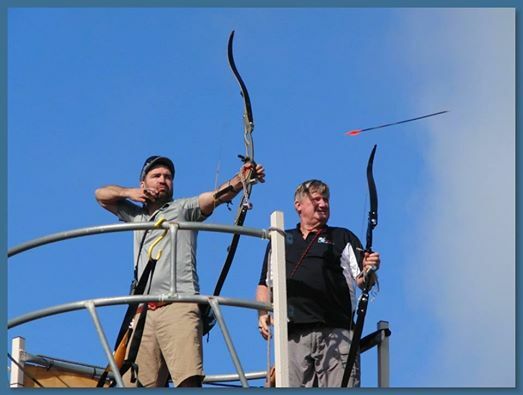 Others focus on the man behind the bow. I’ve been shooting a bow all of my life. I’ve shot with some of the greatest shooters that have held a bow in my lifetime and those men, those greats who have enjoyed the most success, had one thing in common – they focused on the man. 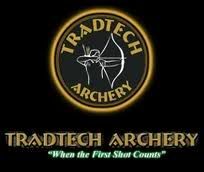 In an attempt to achieve perfection by learning to shoot every single arrow identically, they spent countless hours shooting and shooting. When it was too cold for most to venture outside they shot bale in their garage. When the winds were so strong their arrow would not hit a target at twenty yards, they drove countless miles to get to an indoor range. When they worked late and their bodies begged for sleep they turned the floodlights on and got 25 arrows in that day. Those are the men Denny Cline recalled with a thin smile on his face that day, and those are the men I’ve seen making a comeback in recent years. John Demmer set a new NAA National Indoor record this week – 1094 (545,549). John Magera set a new NFAA Texas record with 560 on two rounds (281, 279). Dewayne Martin shot a 293 32x in league shooting as he prepares for the NFAA National Championship. As I sat with Denny I wondered if we’d ever shoot the scores they shot back in the early 70s. I truly wasn’t sure if it was possible. Today, I’m out of the game in Afghanistan, but I beam with pride as I watch my generation of archers, my friends, scratch their way ever nearer to perfection, not because of the bow they hold, but due to the countless hours they have invested in themselves. I wish I could be there to see it, to see their arrows fill the 10 ring. It’s not meant to be, but still I find great satisfaction in their success and am proud to call them friends. On the last day of twenty-thirteen, I slipped into a small stand of trees atop a steep bluff overlooking the Red River. As light slowly began to make the wiry, leafless trees visible, I noticed two large hawks perched in the treetop above me – poaching my hunting spot! I clenched every muscle in my body trying to take the bite out of a twenty-three degree morning, but I put aside the discomfort of the cold when I heard nails scratching on bark above me. As squirrels began to stir, excitement filled my body. Soon it was light enough to make out shapes and then a shape became a squirrel. 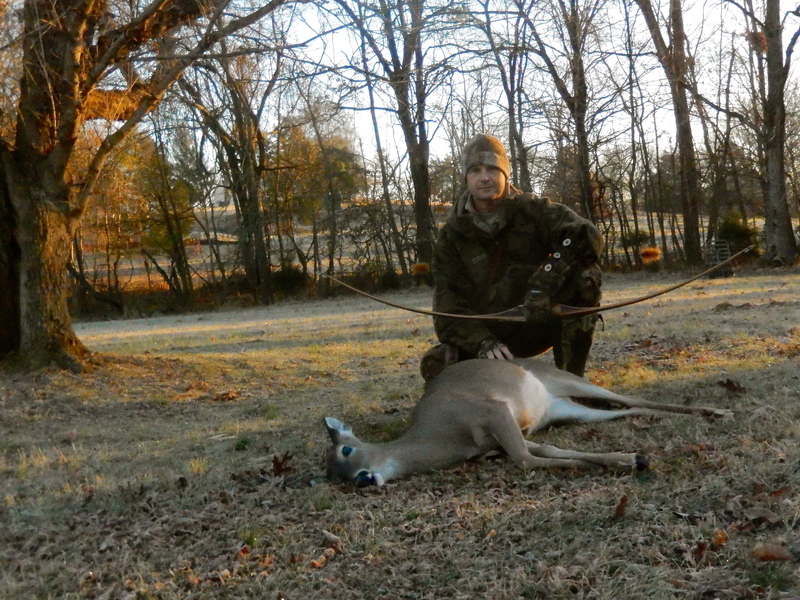 I took steady aim, controlled my breathing, squeezed the trigger and squirrels began popping off limbs like popcorn. 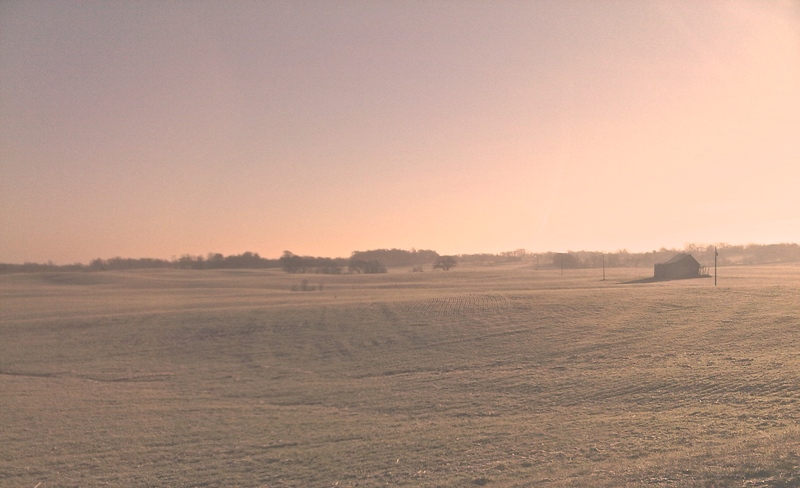 Dawn revealed a crisp blanket of frost on the farmland to the east. The image transported me back in time to the hills of Ranger – a precious memory kept deep within the canyons of my mind. A young blond headed boy sat shoulder-to-shoulder in a cedar thicket with his buddy, Jeff Sanford. We wore out boot leather walking mile after mile along lonesome ridges until I, the younger one, complained about the cold. Jeff found us the perfect spot under a big cedar to sit and warm ourselves. Despite the cold, we never considered going home. The thought never entered our minds. We were in a place where we always found joy – the woods. A slight twitching movement in a tree fifty yards away caught my eye and I returned to the Red River. 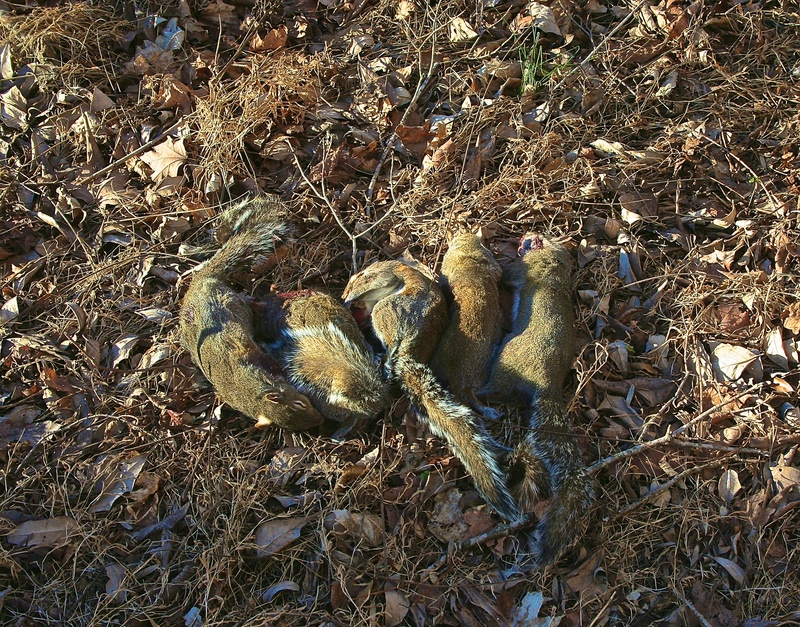 We ate squirrels for supper and I told stories of my childhood – fun that can’t be bought in a store or ordered online.